We are a family oriented enthusiasts club for anyone who enjoys owning and driving all shapes and models of Land Rovers. Club meetings held every fortnight on a Wednesday evening in Beddington to share our experiences and stories relating to owning and driving Land Rovers. For more information on how to join click here or use our contact form. 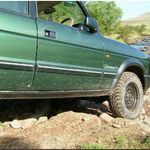 Organised monthly green laning trips. Pay & Play Site visits. 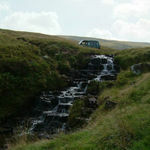 We attend national Land Rover shows, local events, support charities and organise club outings. It is with deep regret and a heavy heart that the South London and Surrey Land Rover Club will not be running the London 2 Brighton Land Rover Run this year on 8th October 2017 or in the future . This regrettable and tough decision has been made after a lot of soul searching and discussion at the club and committee meetings. Our reason for cancellation is being based mainly on a financial one, along with upwardly spiraling costs, a downturn in attendance across all events nationally, the difficulty on securing sponsorship and partial closure and the use of Brighton sea front. All these elements together has made it a too finer line to pursue without potentially making significant losses. As a club, we have always run the London 2 Brighton on a budget and have always been reliant on the huge generosity of our extended fellow Land Rover families supporting us over the years. There comes a time when you just cannot keep relying on peoples’ continuous good nature and generous support. 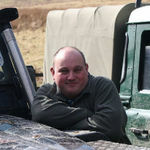 At this time, South London and Surrey LRC would like to give a huge thanks to our Land Rover friends and family for helping us to maintain what I believe to be one of the best Land Rover events you could attend annually. We could not have done it without you, there are too many to list individually (but I think you all know who you are). None of this would have happened of course without my Club event team and my stalwart event marshals, past and present. I have always been in awe of what you do for us year after year. It may seem befitting that we ended last year’s event celebrating the life of our friend and club member Dave Higman, who was always helping out on the S.L.S.L.R.C. Brighton stand along with his lovely wife Elaine. The South London and Surrey LRC will be in attendance at most of the regular Land Rover events this year and will be catching up with our many friends we have made over the years. We will hopefully see you there, and I will be watching over you lot from the Discovery turbo channel so behave yourselves and take care.